China's growth strategy also has international consequences. Air pollution from China travels east to Japan, Taiwan and South Korea and across the Pacific to the U.S. west coast. And China's heavy use of fossil fuel has made it the world's largest greenhouse gas emitter, raising the risk of severe climate change. The Chinese people are well aware of how pollution is eroding their quality of life. The Weibo blogging platform, China's version of Twitter, features daily discussions about the nation's environmental challenges. And in Chinese cities, residents are demanding cleaner conditions through their words and their spending choices. In our book "Blue Skies Over Beijing: Economic Growth and the Environment in China ," Professor Siqi Zheng of Tsinghua University and I argue that rising demand for environmental protection in China is an emerging trend that will improve the standard of living in China and increase overall global sustainability. Multiple studies have shown that exposure to pollution in China is affecting public health and quality of life. Epidemiologists estimate exposure to air pollution shortens residents' life expectancy by about 5.5 years in coal-dependent north China. Economists have found that both outdoor and indoor workers are less productive when exposed to higher levels of air pollution. 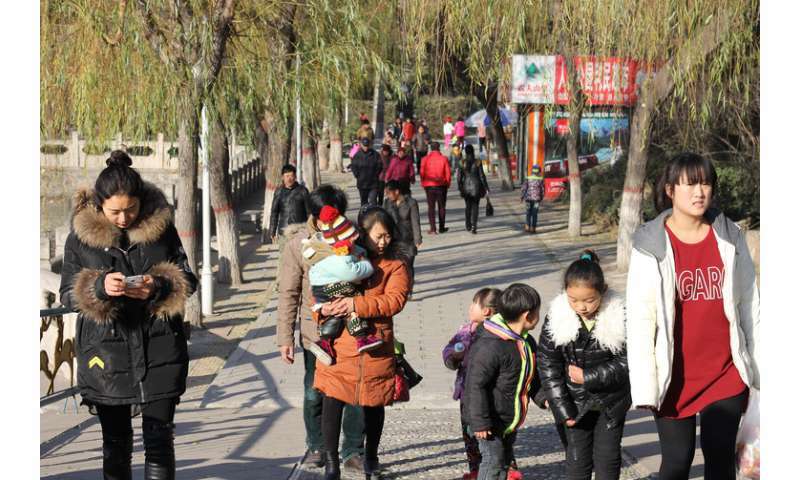 While China is ending its notorious one-child policy, urban Chinese couples still frequently choose to have just one child and arrange their lifestyles to invest in him or her. Many of these parents are proud of China's economic growth but worried about how pollution may harm their child's health. We also interviewed an urban planning scholar with a Ph.D. from the University of California at Berkeley whom we referred to as Dr. Zhang. In 2015 Zhang was recruited by Renmin University in Beijing and accepted an appointment as assistant professor. But after six months he decided to move to another university because he could not tolerate Beijing's heavy haze and worried that it would harm his two young children's health. Zhang's case is not unique: Chinese urbanites told us that many top universities in Beijing lose out to Hong Kong universities when they try to recruit new economics and business Ph.D. graduates because of Beijing's air pollution. Chinese urbanites' desire for cleaner, healthier living conditions is evident in their purchases. Looking at real estate transaction data from Chinese cities, we found a willingness to pay to live in a city or a location with higher environmental quality. Using data on all of the apartments sold in Beijing around the year 2005, we found evidence that apartment prices were higher in parts of the city featuring easy access to fast public transit, clean air (pollution levels vary across the metropolitan area) and access to green parks. These results suggest that China's urban consumers trust government pollution announcements now—but this was not always true. Past research has documented that government agencies manipulated data to overstate the number of "blue sky" days between 2001 and 2010. Recently, however, the cost of independently monitoring air pollution has declined. In 2008 the U.S Embassy in Beijing installed rooftop monitoring equipment and began providing measurements of local ambient air pollution. Growing competition in the "market for environmental information" has given the Chinese government incentive to truthfully report air pollution levels. Beijing is also notorious for its traffic congestion. China's recent investment in "bullet trains," which travel at roughly 175 miles per hour, has increased access to mega cities. For example, people can now live in the nearby second-tier city of Tianjin and commute to Beijing in 30 minutes by train, instead of 1.5 hours by car. We have documented increased home prices in second- and third-tier cities connected by bullet train to Beijing, Shanghai and Guangzhou. The urban history of the United States suggests that a city's environmental conditions can greatly improve within a short period of time. Pittsburgh, which was heavily polluted during its heyday as a steelmaking town through the 1960s, has transitioned to a high-skill economy and now markets itself as green and sustainable. Many of China's richer coastal cities are already following a similar arc. Xiamen is a medium-sized city with a population of about 3.7 million, located on China's southeast coast and the west bank of the Taiwan Straits. It enjoys mild winters and cool summers, with an annual mean temperature of 21 degrees Celsius, and clean air. Xiamen's leaders are pursuing a growth strategy based on the city's amenities. A high-level municipal official told us they are using beach access, clean air, temperate climate and high-quality urban services to compete for talent and new firms. This strategy creates incentives for local leaders to invest in improving quality of life, and offers mobile urbanites choices about where to live. China's leaders still care about economic growth, but now they recognize the importance of attracting and retaining talented people, and are worried about an international brain drain as skilled workers move to Canada and the United States. As part of that strategy, national and provincial leaders are starting to evaluate local officials' efforts to curb pollution and promote energy efficiency. One mayor in a small, affluent city in the Yangtze River Delta told Siqi, "I do not want my citizens to complain about the pollution in my city. I do not want to become a bad 'star' on Weibo. In this case, even if I achieve very high GDP growth, I will have no chance to be promoted." China's transition from heavy manufacturing to a modern service economy will not be painless. Hundreds of millions of low-skilled workers prefer safe employment at a government factory, even if it means their city is polluted. One decentralized approach would be to allow some cities to become green centers featuring technology-driven high human capital industries while others continue to rely on heavy industry. As China burns cleaner fuels such as natural gas and generates more of its power using renewables, it will become easier for China to be a "good global citizen" and work with the United States and other nations to seek to mitigate climate change. Over 18 percent of the world's population lives in China, and a majority of China's population now lives in cities. If China's growing urban middle class succeeds in its demands for a better quality of life, the benefits will reach far beyond China's borders.